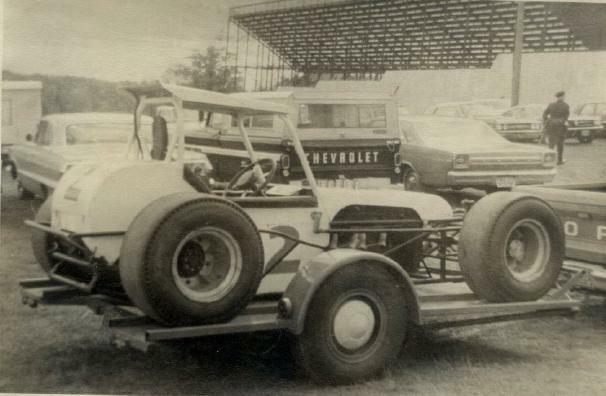 Howard Purdy's "Little Deuce" on the trailer. Ron Lux drove this car, as did Bentley Warren, Jim Winks, Art Bennett, Bob Smith, Ronnie Wallace, and Warren Coniam, to name a few. All of them having top finishes in the car.